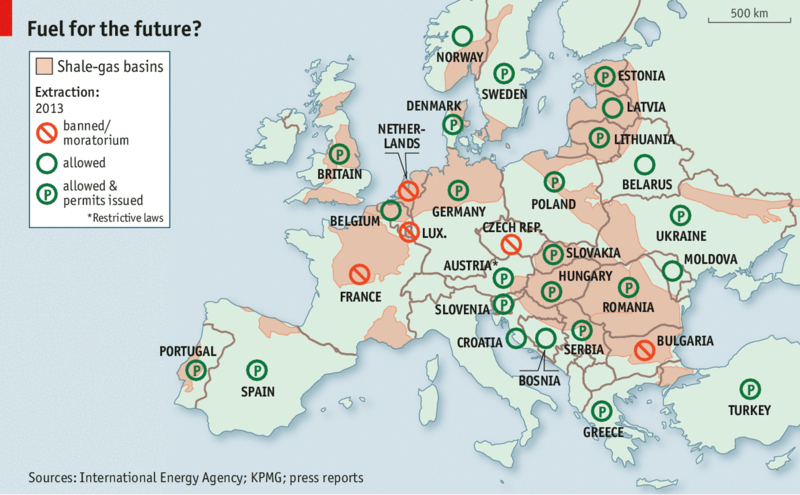 Why is it not worth regretting the fact that US companies are terminating its projects to extract shale gas in Europe? According to the US Energy Information Administration, France has the largest deposits of shale gas in Europe, located mainly in the basin of Paris and the Rhone Valley. Perhaps that is why with this country US companies intended to begin development of European resources of this unconventional energy. However, France became the first country in the world where 13 July 2011 the Senate legally banned a mining method using the so-called "hydraulic fracturing." Following the ban, US company Schuepbach Energy, which had two exploration licenses cancelled in southern France, appealed on several counts. But the Constitutional Court rejected these complaints and upheld the 2011 law banning the hydraulic fracturing in the country. France's Energy Minister Philippe Martin called the court ruling "a legal victory, but also an environmental and political one". Meanwhile it was only the first victory. At the same time, it may happen that somewhere such a reasonable opinion can retreat under pressure of shale technologies image actively promoted in society and political circles. Not everywhere in Europe yet people are aware that environmental risks associated with development of shale deposits will be too high. After all, Europe is of particular ecological vulnerability because of a very high population density in most countries, against which a fragile environment, as it is, often barely withstands. For many of us in Europe it is even difficult to imagine how the horizontal drains are kicked off at the base of a vertical hole at a depth of 1,500 to 3,000 meters and can extend over a distance of 1,000 and 2,000 meters underneath village houses or city blocks. After that, multiple fractures are created by injecting a very high-pressure mixture of water, sand and several hundred different harmful chemical additives. Routinely on existing technologies, the operations of hydraulic fracturing should be repeated in the same production area up to 10 times a year. How the density of the drilling sites in the fields of shale deposits looks like one can see in the photo made in the Jonah Field - a large natural gas field in the Green River Basin, Wyoming, in the United States. At the sight of this photo, all of us might wonder if there will be anyone in sound mind, who can combine this half-Mars picture with our European landscape? Staying in one of the first places on the estimated reserves in Europe, particularly Poland has been in a deep conflict regarding shale gas exploration in recent years. Among other problems of shale gas development had arisen in Poland there was the fact that this technology leads to a high consumption of water, which can be a very harmful to the country's agro-industrial sector. Besides there is always the danger that huge volumes of fracking mixture will uncontrollably be spilled over the ground surface, infecting everything around. According to the evidence of Polish farmer from the village Żurawlów, close to the town Zamość, when the US company Chevron conducted seismic surveys "water looked like the oil slush. And before that it was crystal clear". Confrontation with Polish farmers in Żurawlów lasted more than a year. During that time, activists of environmental organizations from the United States, Czech Republic and Latvia arrived in Żurawlów sharing their experience in the opposition against fracking in their countries. As a result, Chevron terminated its activities in the Lublin province, and later on in January it completely stopped exploratory drilling in Poland. Before that, within three years the US companies ExxonMobil and Marathon Oil, and the Canadian Talisman Energy Inc. also had left Poland. This year in February Chevron announced that it would give up shale gas exploration plans in Romania. Huge amount of water mixed with sand and different chemicals that is pumped deep into the earth for fracking poses is a real threat not only because it causes a very dangerous environmental pollution. In the United States, where the development of shale gas production has already reached a very large industrial scale, there is another serious problem. 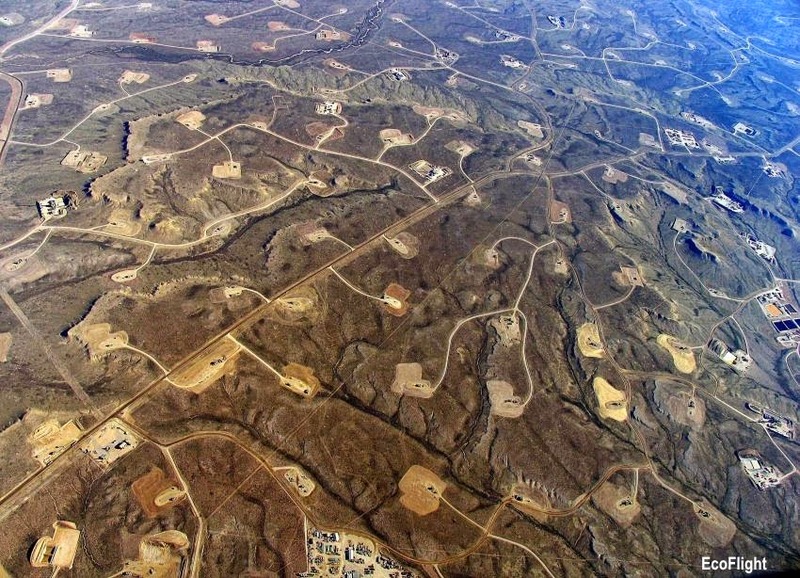 Modern fracking technology provokes artificial earthquakes. According to the US Geological Survey, published by the Washington Post, an unprecedented increase in the number of earthquakes was recorded in Oklahoma, where a big part of the Caney and Woodford Shales is located occupied by sites of drilling and fracking. As of 2012, there were an estimated 11,000 private and commercial injection and disposal wells in Oklahoma and the number of earthquakes has been accordingly growing. In 2014, the US Geological Survey data showed there had been 585 earthquakes with magnitude 3.0 or greater in Oklahoma that is more than three times the number of earthquakes as in California. It is important that the greatest impact, causing movements of the earth's crust, resulted not from the fracking process but mostly due to associated deep geological disposal of sludge water, which pumped back into specially drilled wells. According to various estimates, there are about 30 thousand disposal wells in the United States. Numerous facts point at a direct link between the injection of fracking wastewater into the earth and the increase in seismic activity, since the latter more occurs around disposal wells. Thus, according to the Earthworks report released in March 2014 there are more than 1,500 wells for the disposal of wastewater in California. Over a half of these wells is within ten-mile zone of the earthquake epicenter, and 6% or 87 wells - within one-mile radius. It seems that everybody has already aware of that fracking technology carries various threats such as contamination of groundwater, earthquakes, enormous water consumption, and risks caused by improper disposal of flowback water. However, despite how much fracking supporters wanted to wave it away European countries should draw attention to the existing experience and make the right conclusions that their plans for a widespread use of fracking technologies in Europe intended for shale gas production do not have any proper environmental as well as economic feasibility. Before everything else such plans are motivated by unreasonable ambitions of policy makers and reckless commercial interests of international oil companies, which are promoting all over the world the shale technology a little worrying about the consequences. Anyway, the hope is necessary that a careful attitude towards ecology conservation in all European countries will adjust their shale policy and will be reflected in the priorities of the future Energy Union. When would it be possible to expect that our politicians and lawmakers will definitely say goodbye to a troublemaking dream of inspiring a dangerous shale boom in Europe? Otherwise, do they still need for that real earthquakes and a special smell of oil in a sauna? Hey really wonderful post your have shared here, I have bookmarked your blog for the future references. Keep posting the article on this topics, i like to visit your blog once again for future updates.